Intel announced a new line of tiny chips at last month’s Intel Developer Forum designed to power the Internet of things and now, we’re seeing the first devices featuring the Quark SoC surface. 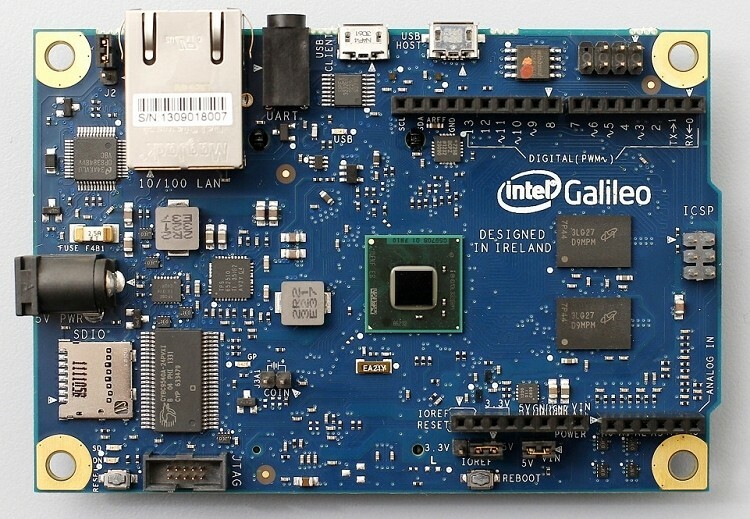 At the Maker Faire Rome, Intel chief Brian Krzanich spoke of a new collaboration between open-source electronic prototyping platform Arduino and Intel’s New Devices Group and introduced the first product from said partnership – Galileo. Galileo is a DIY hobbyist development board that uses the Quark SoC x1000 processor (400Mhz, 32-bit, Pentium-class single-core and single thread). The architecture is said to make it easy to develop for Windows, Mac and Linux as it features USB connectivity, 100Mbps Ethernet, microSD, RS-232 and a full-size mini-PCI Express slot. Additionally, the board will be fully compatible with existing Arduino hardware and software which could make it an attractive board if you are working on a rather complex project. It’s all part of Intel’s continued push into the DIY market (and eventually, wearables). Earlier this year, the company partnered with BeagleBoard to create the Minnowboard, a $199 PC that runs open hardware and software. It’s a lot more expensive than other options like the Raspberry Pi but it’s also a great deal more powerful with a 1GHz Atom E640 processor and 1GB of RAM. As per the collaboration, Chipzilla plans to donate 50,000 Galileo boards to colleges across the globe. Those interested in picking up a board for non-university play will be able to do so by November 29 for $60 or less, we’re told.